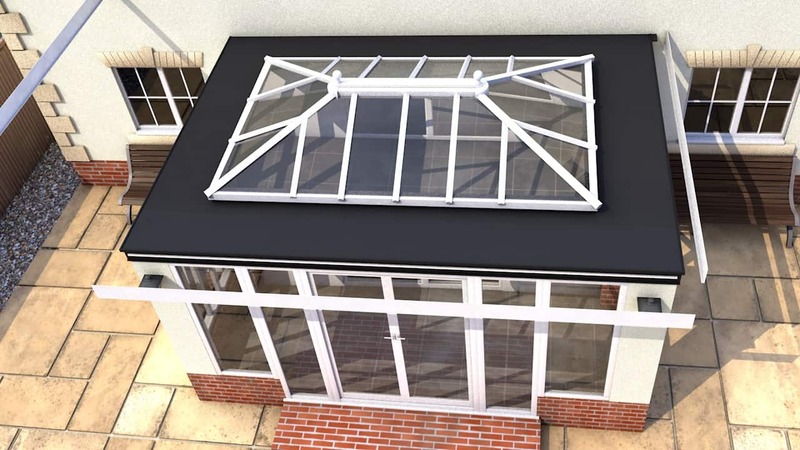 Our orangery roof conversion kit replaces your existing fibreglass, traditional build, glass or polycarbonate roofing system with a lightweight, tiled, Orangery roof replacement system. The ‘Leka System’ is approved by JHAI, the licenced building inspector and is proven to outperform and outlast most systems. It is a truly lightweight, tiled. Orangery roofing system finished with replica concrete (Metrotile) or slate (TapcoSlate) tiles. These engineered tiles weigh up to seven times less than the real thing and are a perfect imitation. 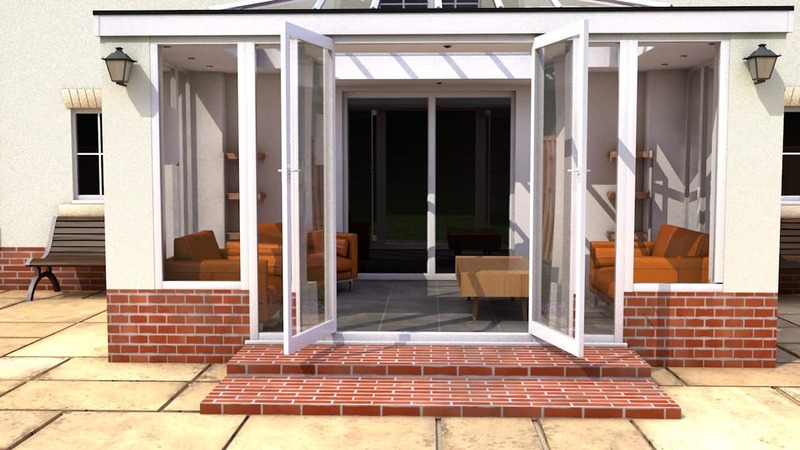 The orangery kit is designed for homeowners and built for the trade. 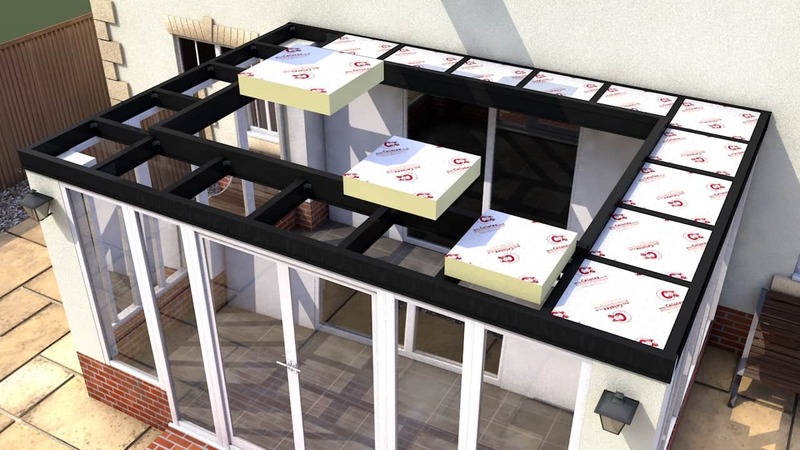 It’s incredibly lightweight, easy to install and complies with building regulation U-values. There are no aluminium or timber components in the build. The Leka System is built from four simple ladder kits made from GRP (glass reinforced plastic). 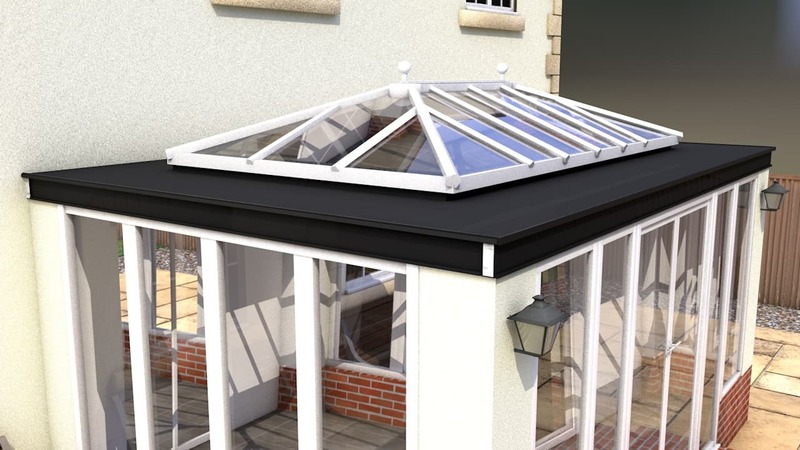 If you’re looking to upgrade, replace or convert an orangery roof, our orangery roof conversion kit is up to 40% lighter than competitor products. It’s the cutting-edge roofing system of choice for many installation companies and homeowners because of this. When only the very best will do, the Leka System delivers. Contact us a today and get a free quote for a Leka Systems Orangery Roof installation in your area! 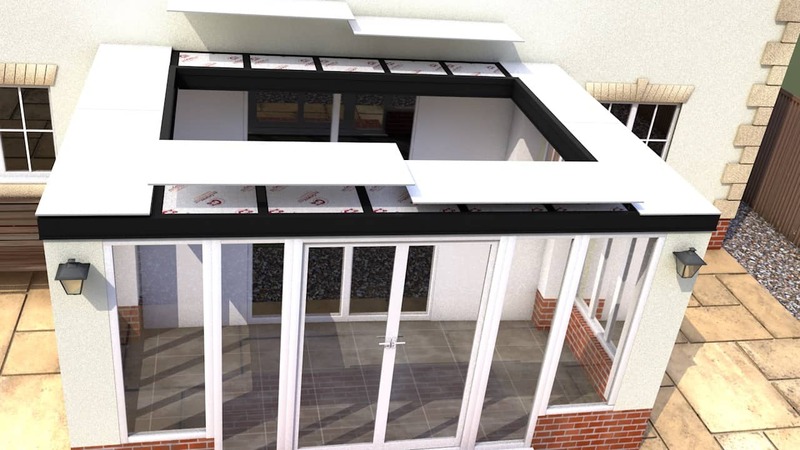 Below you will find a detailed system break down of the Leka Orangery Roof. This provides lighter and better, Orangery roof insulation. 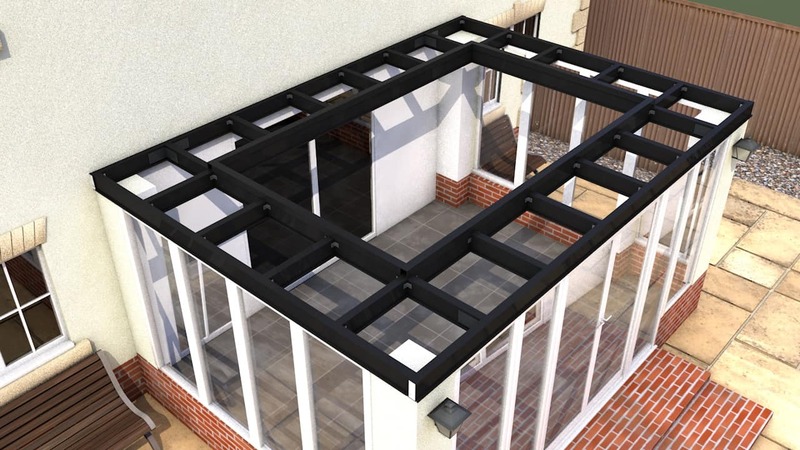 We will explain how the only roof system of its kind in the world can transform your existing Orangery or enhance your proposed new Orangery project. The beginning of your improved Orangery roof insulation. Insulated Celotex sheets are snugly fitted with a 15mm gap from the internal Leka sheets. 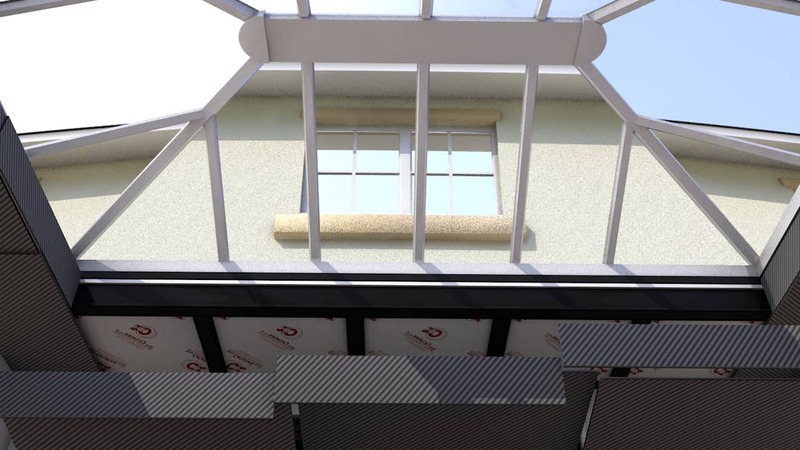 Celotex is one of the UK's leading insulation specialists, providing high-value thermal efficiency and BBA certified and a significant benefit in achieving a better Orangery, roof insulation efficiency level. 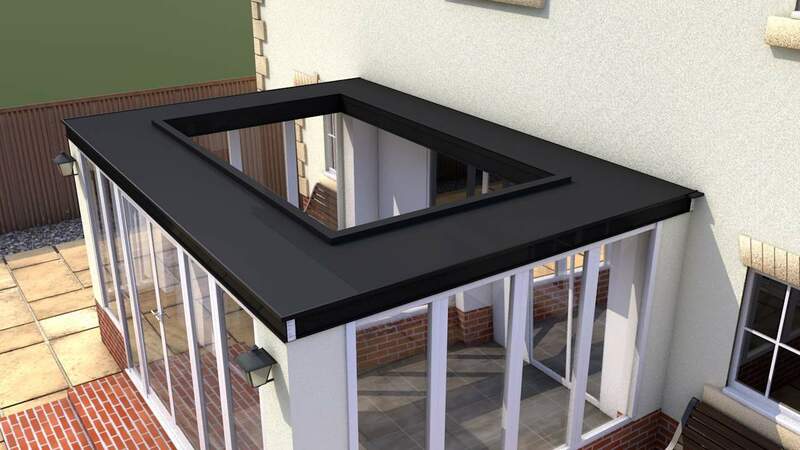 This will provide final waterproofing along with a stylish finish, ensuring that your Orangery roof is the ultimate in watertight insulation. The glass lantern will allow light to flood through into the Orangery and provide an elegant looking finish.